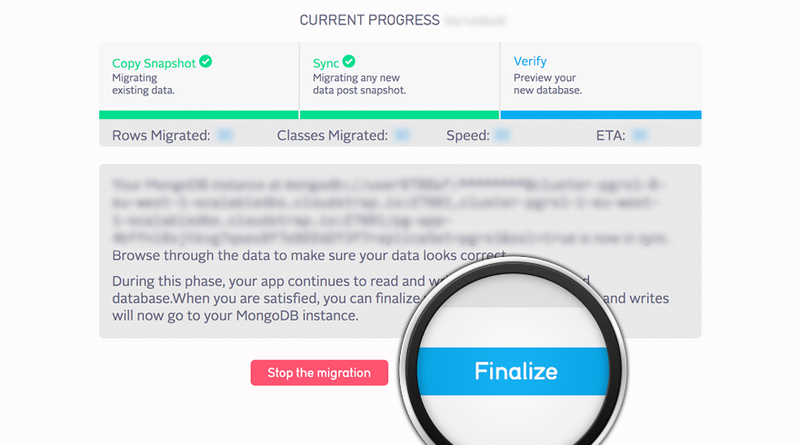 You can also find a ton of tutorials by users, trying to help each other, but don’t worry - there’s fast and easy solution: our “migration in a click”. SashiDo’s team understands the difficulties that you experience and developed the only one available fully automated migration. 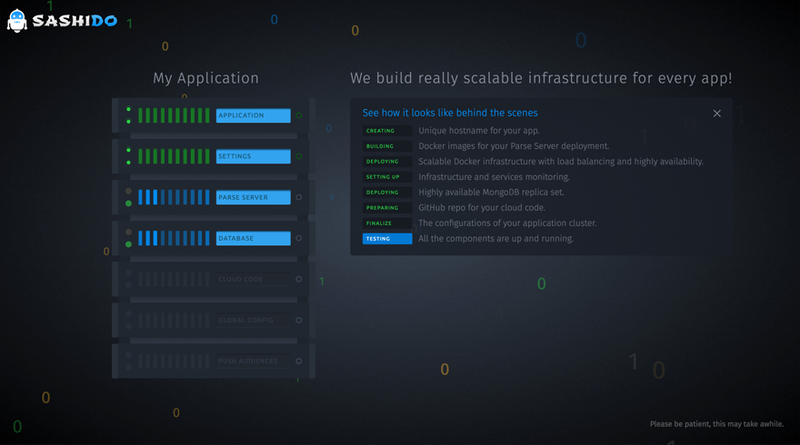 It takes minutes, your app is safely migrated, completely for free. 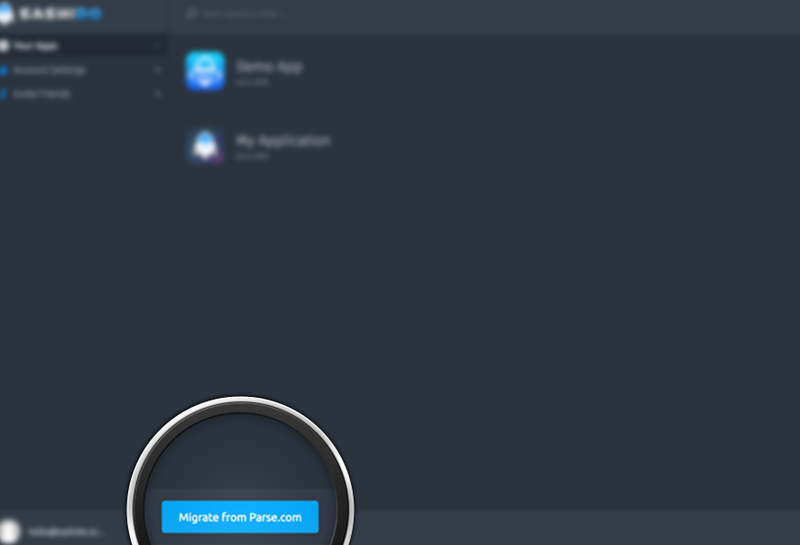 In a few seconds a dropdown menu will appear with all your apps, associated with Parse.com - choose the one you want to migrate and press the button “Migrate”. 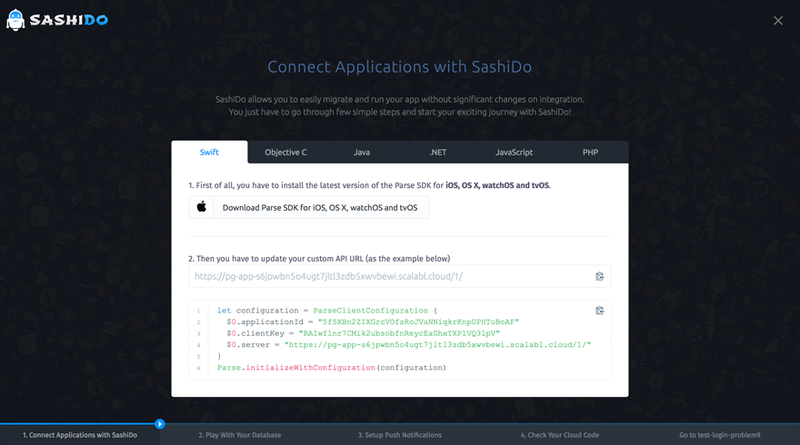 Now the real awesomeness takes place :) SashiDo migrates the whole app, database, Cloud Code, push notification, audiences, settings etc. - it only takes few minutes. When the process is ready, a button “Continue” will show up. Press it. What will happen after finalizing? 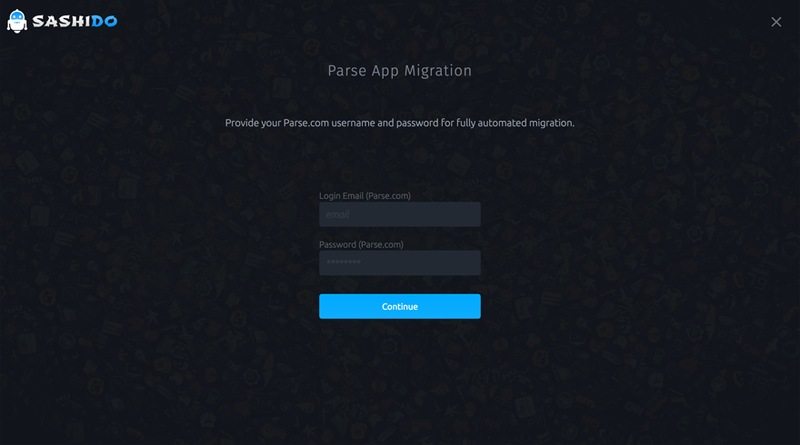 After finalizing the migration your application will continue to work on Parse.com, but with SashiDo’s database. Your app’s old database may will stay on Parse.com until January 2017 and after this any calls to the hosted Parse backend service (api.parse.com) will cease to function. In order to avoid this, you should make a new build of the app with your app’s new security keys and URLs. You can find them on Your app -> App Settings -> Security and Keys (in SashiDo's Dashboard). Then just release the new version on App Store or Google Play. 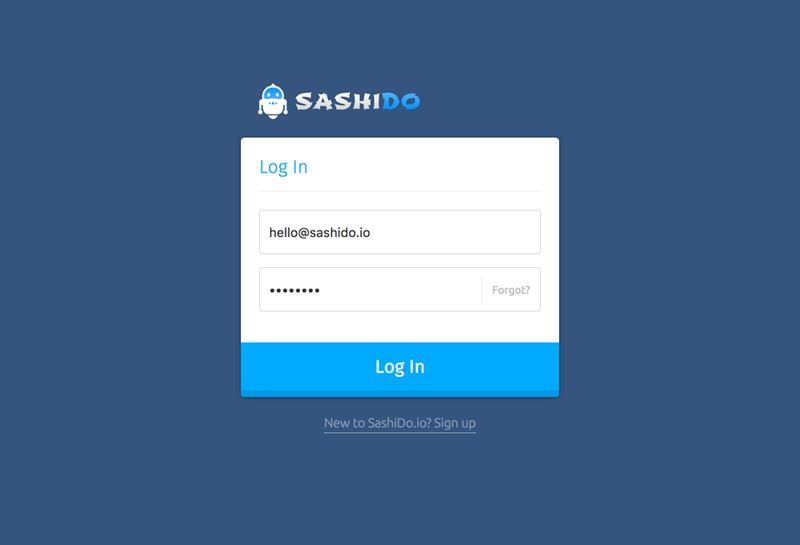 If you experience any kind of problems during migration - contact us at support@sashido.io.